The SS Beaverdale (1928-1941) On this day 74 years ago, the SS Beaverdale was hit by the infamous U-48, credited with the sinking of 52 ships. 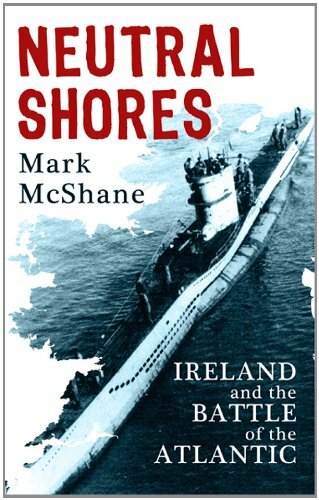 If you want to know about the Shipwrecked Mariners’ Society’s activities in Ireland in helping survivors from vessels sunk in WWII’s Battle of the Atlantic then Mark McShane’s book, Neutral Shores, is the one for you. The SS Nariva (1920-1943) and the SS Southern Princess (1915-1943) The SS Nariva and the SS Southern Princess were in the middle of convoy HX-229 travelling from New York to Liverpool when attacked by two German U-Boats, U-91 and U-600 on 18 March 1943. 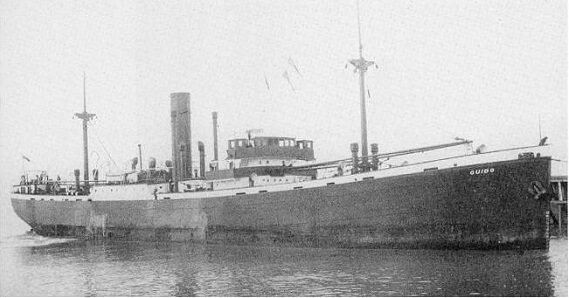 The SS Guido (1920-1943) In March 1943, the SS Guido was hunted by a wolf pack of German U-Boats 10 miles starboard as it was going from New York to Greenock. 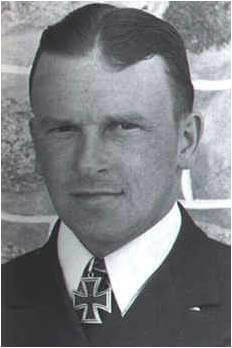 The fatal torpedo was fired from U-633 on the 8th of March.